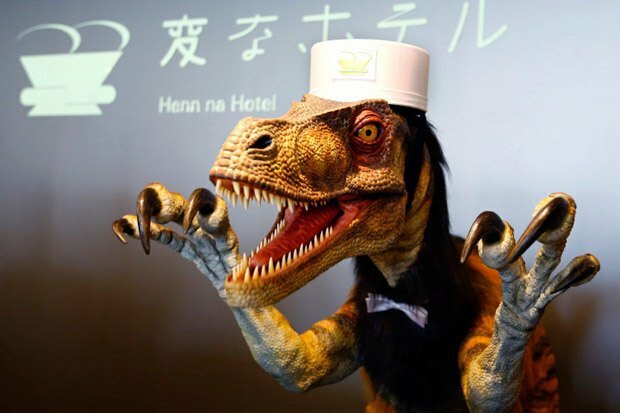 In an effort to cut labor costs, a hotel in southwestern Japan, appropriately called Weird Hotel, uses robots instead of human employees. 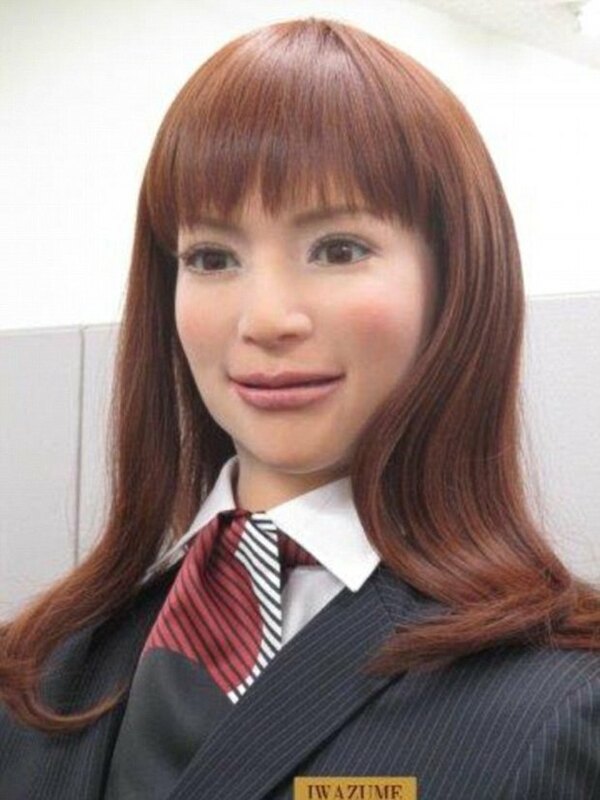 The English-speaking receptionist is a mean-looking dinosaur robot, and the Japanese-speaking receptionist is a female humanoid robot with blinking lashes. 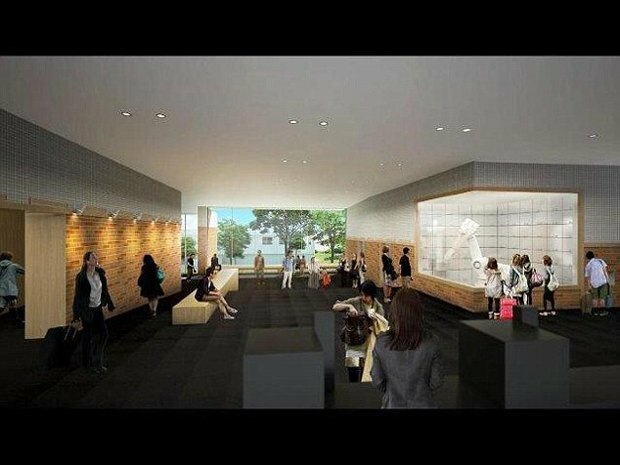 A "robot cloak room" in the corner of the lobby consists of a giant robotic arm (generally seen in manufacturing) shifting around boxes locked behind glass. Outside, a drone flies around bringing jars full of snacks to guests. A night in the Weird Hotel starts at 9,000 yen ($80) which is considered a bargain in that area of Japan. The hotel opens for business this Friday.